The last verses of the Old Testament have both a backward and forward orientation. Malachi instructs the reader to Remember the past and to Anticipate the future. Malachi reminds us that God has worked in Israel’s past. Look back and remember how God worked at Mt. Horeb (Sinai). It calls us to remember how God has worked in our own past, to instruct and teach us. 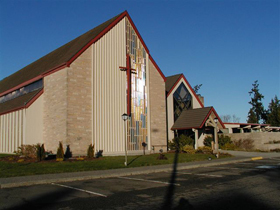 I remember making a pilgrimage to Holy Trinity Lutheran Church in Port Angeles, Washington, to remember the place where I first learned the Bible stories, acted in Christmas plays and sang the familiar carols. Christmas has so many specific memories for many of us. It can be simple nostalgia, but it can also become a deep spring of joy, light and love that calls us back to our spiritual roots. Where and when do you remember hearing the story of God’s statutes? Yet Malachi also pushes into the future, that God is not simply an ancient figure of distant history, but a God who will act in our future. 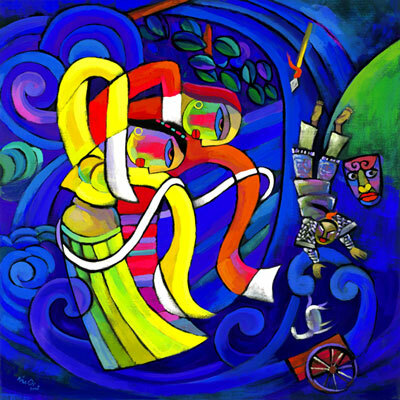 The prophet Malachi recycles the ancient prophet, Elijah, to describe the messenger who is coming. (Elijah had not “died” but was taken up into heaven on a chariot of fire, 2 Kings 2:11). The future return of Elijah will cause our hearts to turn to one another, to bring peace and harmony to God’s family. And God’s family is much larger than our own households; Jesus redefines family in the New Testament. Further, Jesus, the Son of God, turns the hearts of God’s children to their heavenly Papa. The future is so much brighter than our present reality. To what do you look forward in God’s glorious kingdom? As we read scripture, we need to be mindful of how the past, the present and the future all intertwine. Lord Jesus, be thou my vision, backwards and forwards. This entry was posted in Bible, Christmas, Jesus, Uncategorized and tagged Elijah, holy trinity lutheran church, Malachi 4, Moses on December 15, 2011 by Pastor John Keller. A big question for many Bible readers is “Where do I fit in?” The Bible feels like ancient history about long-dead people. In Deuteronomy chapter five, Moses spoke to this concern. The people of Israel were about to enter the Promised Land after wandering in the wilderness for 40 years. The generation that had experienced the exodus of Egypt had died; a new generation had been born during the wilderness journey. The new generation had heard the stories of the Exodus, Mt. Sinai (also called Mt. Horeb), the Ten Commandments, and Moses, but they did not directly experience these events. Or did they? Please note that second sentence, Not with our ancestors did the Lord make this covenant, but with us, who are all of us here alive today. Moses made the audacious claim that the covenant at Mt. Horeb (Mt. Sinai) was for us alive today. God’s covenant includes YOU and ME. This is not some ancient story, but an ongoing relationship with God. This is critical reason for walking through the whole story of scripture. It is our story, our identity, our connection to God, the creator and savior. We are the ones who are in danger of making false gods. We are the ones who forget the gift of Sabbath or dishonor our parents. 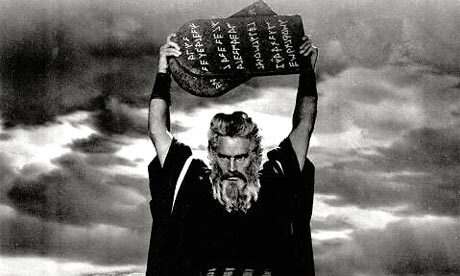 The Ten Commandments address us today. Do we have ears to hear? Which stories in the Bible have become YOUR story? Which stories challenge or pull you in? Lord Jesus, speak your Word that it may become my word of life. This entry was posted in Bible, Narrative Lectionary, Resurrection Lutheran Church, story, Uncategorized and tagged covenant, Deuteronomy 5, Moses, Mt. Horeb on October 6, 2011 by Pastor John Keller. I am convinced Moses must have been a trained mountain runner. Though raised on the plains of Egypt, he was constantly moving up and down mountains as if they had escalators. First he had to approach the burning bush on Mt. Sinai where he was commanded to take off his sandals because it was holy ground. 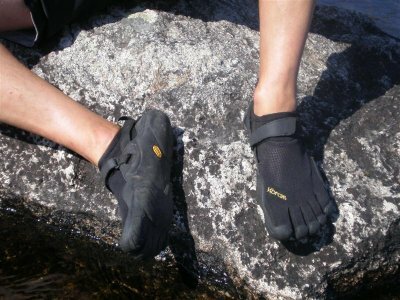 God never commanded him to put them back on, so he was probably the first barefoot trail runner as well. Then at the age of 80, he was commanded to clean his clothes and then to climb Mt. Sinai. (Exodus 19:18-20). Of course Moses’ clean clothes were immediately covered in soot and smoke from the mountain’s eruption, but I am sure Moses brought a dry-cleaning receipt in case God asked. As soon as he reached the top, even before he caught his breath or posed for pictures, the Lord said to Moses, “Go down and warn the people not to break through and sneek a peak at ME.” As if the volcanic eruptions, smoke and lightening were not a sufficient barrier. Moses, between deep panting breaths, reminded God, “God, you already told them that before I started up here.” God responded, “Yes, but you forgot to bring Aaron and remind the people not to try and peek under the curtain.” Somehow, when Moses reached the bottom he forgot about Aaron or even a chisel, since God had to write on two tablets of stone with his own finger when Moses climbed back up (Exodus 31:18). Maybe Aaron carried the family chisel. Meanwhile the Israelites got bored (like middle schoolers in worship) and built a golden calf to worship. A golden calf was so much more manageable than a ferocious storm cloud hovering over your head. God sent Moses down to break up the party (Exodus 32:7). Moses, hot and tired, broke the tablets; repeated change of altitude can do strange things to a person. Afterwards, Moses climbed back up to apologize (not sure if he had time to clean clothes before this climb). Finally Moses biggest mountaineering challenge arrived. He was commanded to cut two tablets of stone and to bring them up to the top of Mt. Sinai. There is no mention of a North Face rucksack or REI backpack. This time Moses had to write on the tablets; he must have remembered his chisel (Exodus 34: 1, 28). The stories of the Bible are filled with such strange, wonderful examples of exaggerated humor and insight. Sometime in our serious study, we miss the humor that also challenges us. Moses was the mediator, negotiating the God’s covenant with the people, a very difficult task yet that covenant is still in effect. I rejoice that Moses could climb the mountain and make it back down. What stories in the Bible challenge your sense of humor as well as your life? Lord Jesus, teach me to laugh as well as to learn. This entry was posted in Bible, Running, story, worship and tagged Exodus 20, humor, Moses, Mt. Sinai on October 4, 2011 by Pastor John Keller. The Exodus is the identifying story of the Old Testament. The Israelites had been living in Egypt for more than 400 years but their once privilege status had collapsed into brutal slavery. They cried out to God for rescue and God responded. God called Moses to confront Pharaoh and to lead the people back to their promised land in Palestine. God directed ten plagues to beat Pharaoh down and finally, after the death of his own son, Pharaoh released the Israelites from his service. Was it because there were no grave in Egypt that you have taken us away to die in the wilderness? What have you done to us, bringing us out of Egypt? Is this not the very thing we told you in Egypt, “Let us alone and let us serve the Egyptians” (Exodus 14:12). I am guessing that if a vote was taken that day, the overwhelming majority of Israelites would have voted to return to Egypt. Their fear overruled their faith. The story of the Exodus would have been blown away on the desert winds. Has such fear attacked your heart? Do not be afraid, stand firm, and see the deliverance that the Lord will accomplish for you today. The Lord will fight for you, and you have only to keep still” (Exodus 14:13). Instead of a vote, God gave a promise through Moses. The people listen. God sent a strong east wind that drove back the chaotic sea and turned the water into dry land. The people crossed safely. When Pharaoh’s army tried to cross, “God tossed the Egyptians into the sea” (Exodus 14:27). Miriam sang a victory song. Today our world may seem overwhelming and chaotic, instilling fear in us. We may fear financial or relational chaos; we may be too frightened to move forward in our life. Yet God’s promise stands today. The Lord will fight for you! God has not abandoned His people, only tested us to see if we will trust Him as God guides us into God’s future. How is fear holding you back from accomplishing God’s will? Lord Jesus, your kingdom come, your will be done. This entry was posted in Bible, Narrative Lectionary, story, trust, Uncategorized and tagged Exodus, Exodus 14, Moses, Red Sea crossing on October 3, 2011 by Pastor John Keller. I thought about Garrison’s advice as I read parts of Exodus. The Israelites are set free from Egypt but they immediately start to complain and grumble. First they don’t have sufficient water to drink (Exodus 15:24). Then they don’t have enough food. The whole company of Israel complained against Moses and Aaron there in the wilderness. The Israelites said, “Why didn’t God let us die in comfort in Egypt where we had lamb stew and all the bread we could eat? You’ve brought us out into this wilderness to starve us to death, the whole company of Israel!” (Exodus 16:2-3). We humans seem to have this wonderful ability to compare our present situation to some “idealized past” and think we have some right to complain about it. 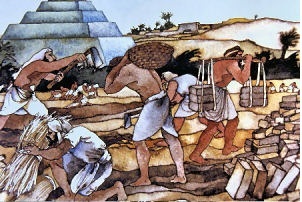 The Israelites practiced selective memory, remembering the sufficient food of Egypt, while forgetting the suffering and hard labor they experience as slaves. So they grumbled to Moses. 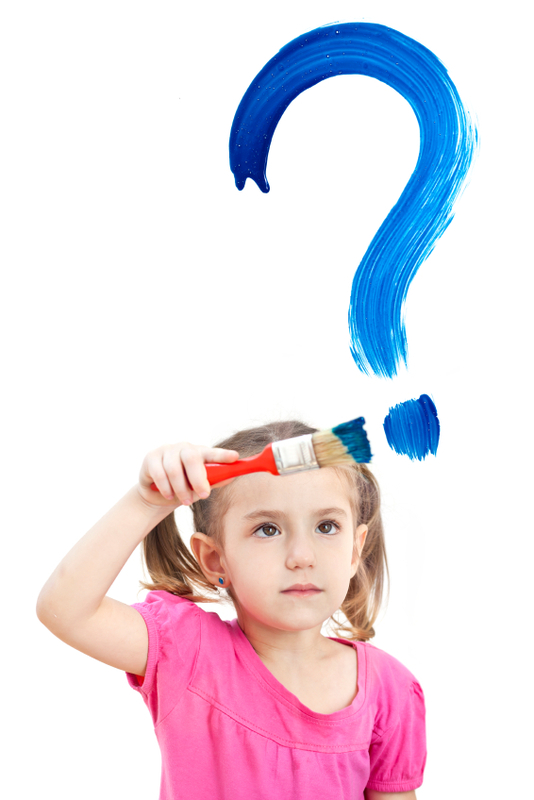 Does a grumbling spirit ever take hold in your mind? The Lord God was quick to answer. The Lord said to Moses, “I am going to rain bread from heaven for you.” (Exodus 16:4). God provided manna for the Israelites throughout their 40 year journey in the wilderness. Manna was a temporary solution until they arrived in the promised land which flowed with milk and honey. It was also a test by which to see if they could give up their complaining and trust in God’s provision. Have you learned to stop complaining and to trust in God’s blessing? Lord Jesus, give us this day our daily bread. This entry was posted in Bible, Narrative Lectionary, story, trust, Uncategorized and tagged complain, complaint, Exodus, manna, Moses on September 30, 2011 by Pastor John Keller. The book of Exodus is rich in stories: Hebrew mid-wives protecting the newborn children, Moses drawn out of the Nile River by Pharaoh’s daughter, the cry of the Hebrew slaves for God’s mercy. The central story is the exodus itself as God battles Pharaoh for the freedom of the Hebrew slaves until Pharaoh’s army drowns in the Red Sea. What a spectacular victory, worthy of song and dance (Exodus 15:20-21). One can hear Moses cheering through the first part of God’s speech. “Yes, Lord, it’s about time you set your people free.” But then Moses’ cheering stops when he hears God’s plan includes him. Immediately Moses interjects, “Who am I that I should go to Pharaoh and bring the Israelites out of Egypt?” Moses then puts forward five different complaints as to why he should not be the one. My favorite comes at the very end, “Oh my Lord, please send someone else” (Exodus 4:13). The good news in this story is that Moses, after complaining long and hard, went to Egypt and confronted Pharaoh. Moses caught fire and blazed with God’s Spirit. God is trustworthy to give us each the strength and courage to do his will. To what adventures is God calling you? Lord Jesus, give me ears to hear and feet to follow. This entry was posted in Bible, Holy Spirit, Narrative Lectionary, story, Uncategorized and tagged Burning Bush, Exodus, Exodus 3, Moses on September 29, 2011 by Pastor John Keller. Though the Israelites had been slaves in Egypt for generations (Exodus 1:8), this is the first record of their calling out to God for help. They may have called out before, but we have no record of it. God knew their struggle and was preparing a way out of Egypt through his preparation of Moses for leadership. The cry of the people and God’s call for Moses to lead the people are linked here in Exodus. God waited both for the people’s desire to leave and for the right leader to be ready. As to the question of whether we know God is listening, the point is the Israelites did not know at first. They cried out to God and God chose Moses, even though Moses has no desire to be God’s leader. Moses was God’s answer to the Israelites cry for help, but they did not know it at first. In fact, when Moses first arrives they reject him, Exodus 5:21! The story demonstrates that God’s answers prayers, but not always in the time and way we choose. We are called to trust God even as we wait. It also demonstrates that we might become the answer to someone else’s prayers. When was a time that you had to wait for God’s answer to your cries for help? This entry was posted in Bible, Prayer, trust, Uncategorized and tagged confirmation, Exodus 2, Moses on March 29, 2011 by Pastor John Keller.